Meet Dr. Margaret Schopp (“Dr. Maggie”)! Dr. Maggie is a Michigan State University College of Veterinary Medicine graduate from the class of 1998. As of July 1, 2013 she assumed ownership of the Animal Medical Center of Traverse City. Following graduation from veterinary school, Dr. Maggie worked in a mixed equine and small animal practice for 5 years. 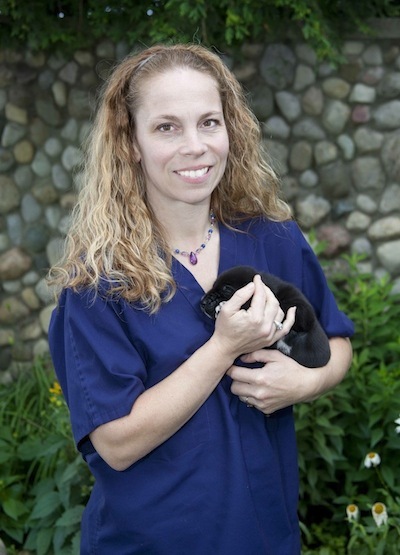 In 2003 she moved to northern Michigan and has focused her attention on companion small animal medicine ever since. She has a strong interest in soft tissue surgery and dentistry. Dr. Maggie, her husband John, and their two children have been enjoying the unique lifestyle that the Traverse City community has to offer. Thank you for helping us in welcoming her to our practice.